"Your life is hidden with Christ in God." The mystery of the contemplative life is woven tightly with the mystery of the Incarnation. This mystery finds an especially vivid expression in the life of a cloistered nun, when a woman chooses to spend her whole life within the walls of a monastery, hidden from the world for the sake of intimacy with God. The cloister is a shocking thing, and sometimes non-Christians (and Christians!) are scandalized by it. But even more shocking is the idea that an infinite God chose to take on a finite human nature, to confine Himself within the limits of the created world, which, to Him, must have seemed far, far smaller than the bounds of a cloistered monastery! "I am my beloved's and my beloved is mine. Some form of cloister is present in all types of religious life, even the convents of sisters who engage in active apostolates. In such communities, one area of the convent is "cloistered," reserved for the sisters alone. This type of cloister is called common cloister. 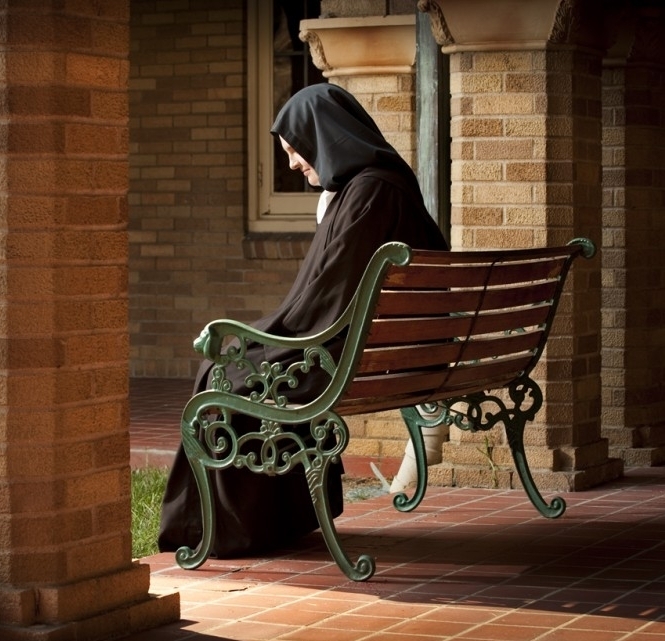 In the contemplative life, the concept of a cloister, a place reserved for the nuns alone, is expanded and deepened. Often the entire monastery is cloistered, and may even be surrounded by a cloister wall. The choir where the nuns sit in the chapel is sometimes hidden from the public who come to pray. And, depending on what form of cloister each monastery professes, the nuns may practice enclosure, which means they vow never to pass beyond the bounds of the cloister. There are three different types of cloister recognized by the Church: papal cloister, constitutional cloister, and monastic cloister, which are explained below. Papal cloister is the strictest form of enclosure, in which a nun does not leave the boundaries of the monastery except for serious reasons. The norms defining papal enclosure are given by Rome. The most recent instruction on papal cloister is the 2018 document Cor Orans, which implements what Pope Francis outlined in his 2016 Apostolic Constitution Vultum Dei Quaerere. Cor Orans states: "The law of papal cloister extends to the dwelling and to all the interior and exterior spaces of the monastery reserved exclusively for the nuns in which the presence of strangers can be admitted only in case of necessity. It must be a space of silence and recollection, facilitated by the absence of external works, where the permanent search for the face of God can develop more easily, according to the Institute's charism." Some of the orders which traditionally practice papal cloister are: Carmelite Nuns, Poor Clares, Dominican Nuns, Visitandines, Holy Spirit Adoration Sisters, and Handmaids of the Precious Blood. Constitutional cloister is a form of cloister defined by the norms in the Rule and Constitutions of the individual order. It is generally less strict than papal cloister. This type of cloister is practiced if the community's charism joins to their life of contemplation some kind of apostolic or charitable work. They are still cloistered nuns, but they may have an apostolate attached to the monastery--such as a retreat house--which would be impossible to carry out if they practiced papal enclosure. Cor Orans says of constitutional cloister: "It must be a space of silence and recollection, where the permanent search for the face of God can develop, according to the charism of the Institute, in consideration of the works of apostolate or charity exercised by the nuns" (n. 205). Some of the religious orders which traditionally practice constitutional enclosure are: Passionist Nuns, Sisters Adorers of the Precious Blood, and Norbertine Canonesses. Monastic Cloister is "a special expression of the constitutional cloister" (Cor Orans n. 211), one of the most ancient forms of contemplative life. Monastic cloister refers to forms of contemplative life which have always had a charism of hospitality, such as those stemming from the Benedictine tradition. This means guests may be invited to stay at the monastery, and the nuns interact with them much more freely than nuns who practice papal cloister. "For monasteries of contemplative nuns, the monastic cloister, while retaining the character of a more rigorous discipline than the common one, makes it possible to associate the primary function of divine worship with wider forms of reception and hospitality" (Cor Orans n. 210). 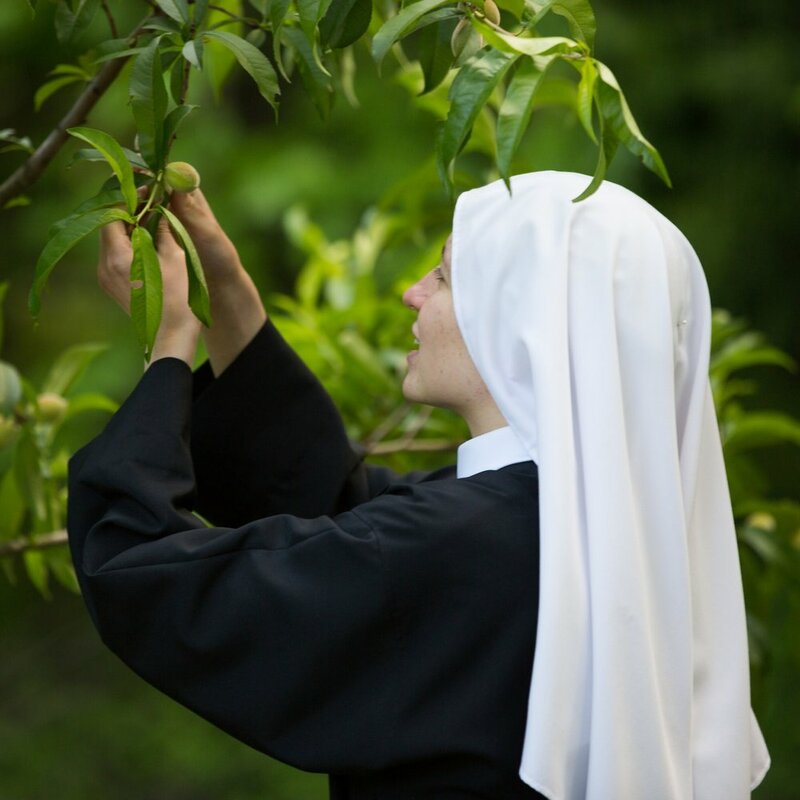 Some of the religious orders who traditionally profess monastic cloister are: Benedictine Nuns, Cistercian/Trappistine Nuns, Sisters of Mary Morning Star.